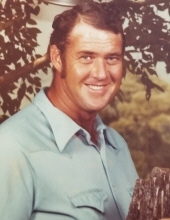 Funeral services for Bobby Tarrant 73, Weatherford formerly of LaRue have been scheduled for 2:00 P.M. Tuesday February 12, 2019 at the LaRue Baptist Church with Rev. Olin Boles officiating. Burial will follow at LaRue Cemetery under the direction of Autry’s Carroll-Lehr Funeral Home, Athens. Bobby passed away Thursday February 7, 2019 at home in Weatherford. He was born January 9, 1946 in LaRue to the late Jim Leland and Betty Jo Denny Tarrant. He was a lifelong member of the LaRue Baptist Church and a graduate of La Poynor High School. Bobby spent many years farming and spent several years as a truck driver before he went to work for Henderson County Precinct # 4 where he retired after 26 years of service. Bobby loved to hunt and fish and spend time outdoors. He was a passionate Dallas Cowboy’s fan and La Poynor Flyers and Lady Flyers fan attending games often. He was preceded in death by his parents, son; Chad Lane Tarrant and brother Jimmy Gene Tarrant. Survivors include his wife of 46 years Sue Tarrant of Weatherford, daughter; Shelina Hartness and husband Mark of Aledo, son; Jeffrey Tarrant of Weatherford, grandson; Ezra Hartness of Aledo, brother; Joe Tarrant and wife Donna of Wills Point, nephews; Joe Paul Tarrant and wife Kris of LaRue, Cary Tarrant and wife Mary of Forney and Don Tarrant and wife Amy of Martins Mill, niece; Becky Tarrant, numerous great nieces and nephews. Pallbearers will be Joe Paul Tarrant, Cary Tarrant, Don Tarrant, Troy Dan Smith, Austin Tarrant, Zachary Tarrant, Ryan Tarrant and Mark Hartness. Visitation for family and friends will be held at LaRue Baptist Church from 1:00 to 2:00 Tuesday prior to the service. In lieu of flowers memorials may be made to the LaRue Baptist Church Building Fund, P.O. Box 84, LaRue, Texas 75770. "Email Address" would like to share the life celebration of Bobby Tarrant. Click on the "link" to go to share a favorite memory or leave a condolence message for the family.